At DB Schenker we depend on key players of the future. 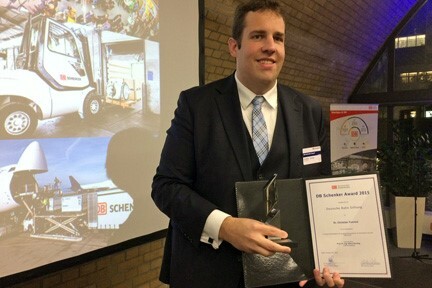 With a prize of 10,000 euros for the author and 5,000 euros for the supervising professor, the DB Schenker Award is one of the most important international awards in the logistics industry. Each winner of the DB Schenker Award received a cash prize of 10,000 euros for his or her outstanding academic work. The supervising professor also received a 5,000 euro prize. The members of the Jury select the winner of the competition in a multi-stage selection process according to established criteria.